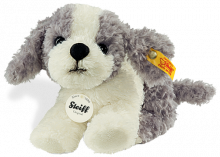 Steiff animals Bernie Husky, 104985 ~ Free Steiff Gift Box! 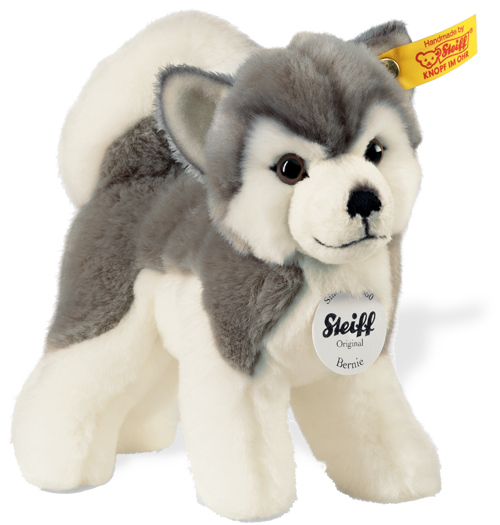 "A cute husky with an adorable face"
Steiff Bernie Husky is made from soft grey and white plush and has a curly bushy tail. Shiny black and brown eyes - and black nose and mouth. He has been beautifully hand airbrushed around his eyes, on his face and around his ears..........this much loved dog is made for you by Steiff. Absolutely no problem so I have to give you the highest rating possible.